Everyone—every plant and single-celled organism included—prefers pleasure to pain. The Vedas say this is because our source—the Absolute Truth, the Supreme Person—is also the supreme enjoyer. The frustration we feel at not being able to have a good time all the time arises from our misconception of who we are. We're spiritual beings, yet somehow we think we'll be happy by enjoying material things. That never works. 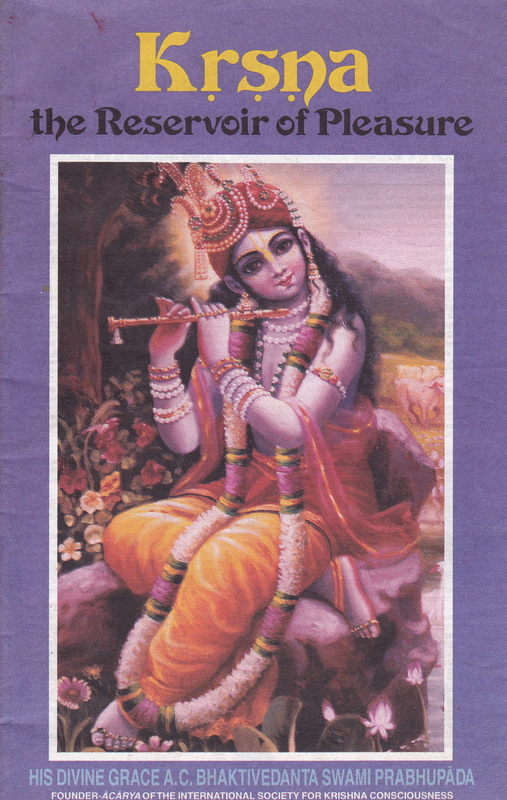 When presented with the first printed copy of Reservoir of Pleasure, Srila Prabhupada said, "Krishna, the Reservoir of Pleasure and Other Essays is so much attractive I think this book will be sold like hotcakes. Thank you very much."